Be sure to like our facebook page to see updated pictures of our wonderful brides. 5.0 Sarah 04/04/2018 Let me start by saying that I am not your typical, traditional bride. I never dreamt of a white dress. I wanted to wear a beautiful red gown, but you could imagine how impossible that was to find! I came across Tova and learned that she designed custom colored wedding dresses and I knew I had to meet her! From our first meeting she was extremely friendly and personable. She understood my vision and asked me such detailed questions that I would have never thought about to make sure my dress was perfect. She was extremely responsive, which is super important to me! My dress was beyond perfection and I received sooo many compliments! I honestly never felt more beautiful than I did in that dress. If you are looking for something that is personalized to YOU, I highly recommend Tova! 5.0 Kathryn 02/5/2018 Love love loved my dress!!! I couldn’t be happier with the style and fit! 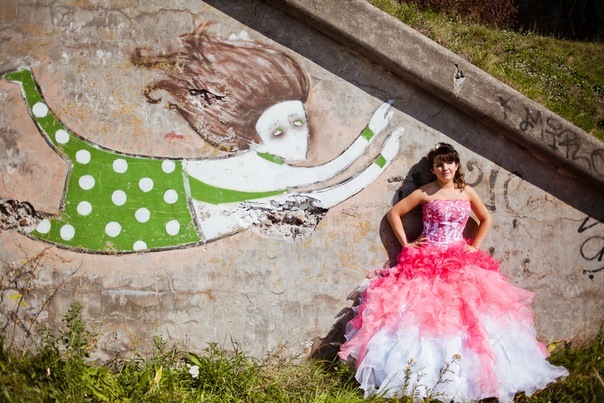 Tova was able to incorporate different styles into one dress for me! This was very important as I am a graphic designer and design is key! 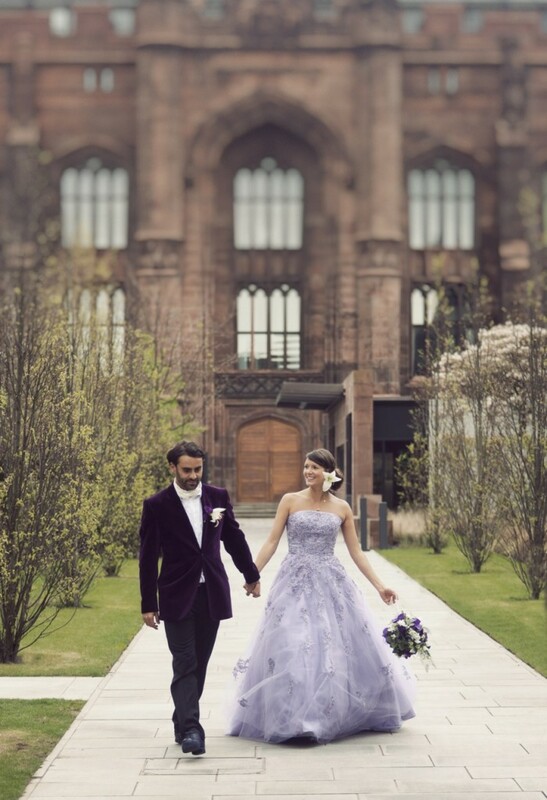 I would tell any bride to go to Couture de Bride for the dress of their dreams! 5.0 Atara 01/29/2018 Tova made me feel beautiful and amazing on my wedding day! It was so enjoyable working with her and she really cared that I was happy! When I was looking into getting a dress everyone told me to tell the seamstresses and designers 2 weeks earlier than my wedding was to make sure it would be ready on time- well I told tova a week early and she had my dress ready 2 weeks before that date!! It was so amazing to be able to not stress about the dress! I would highly reccomend couture de bride and I will also add that I keep looking at my dress so sad that I won’t be able to wear it again! Thank you tova!! 5.0 Danielle 01/28/2018 I went back and fourth for about a month. Every one of my bridesmaids tried to talk me out of ordering a custom wedding dress online. They said it was crazy and I would be disappointed. They where so WRONG. I lied to all my friends and told them I was having my dress made from a local shop. I ordered from wedding dress fanatsy and let me tell you all of them ate their words. This dress was amazing. It was everything I had dreamed of and so much more. She held my hand and walked me thru the entire process and even added a little extra to it when I asked. It was ready on time and arrived earlier than expected. I have no regrets at all about this purchase. The only thing I wish is I could wear this beautiful dress again. I have never ever felt more beautiful than in that dress. 5.0 Kate 12/10/2017 I had my heart set on a green and gold wedding dress and Tova made that happen. Communication was easy and efficient and she helped me bring a vague idea to life. I received my dress last week and I am absolutely in love. It fits like a glove and is extremely comfortable. The photos below are from her shop, not my own. 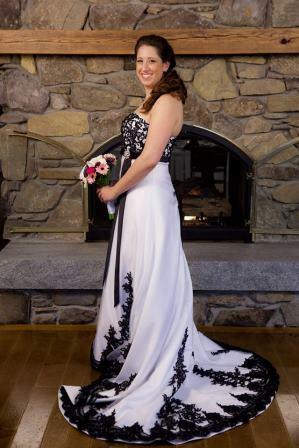 5.0 Karrie 10/31/2015 Absolutely a gorgeous dress. I was nervous about ordering online and was more than over the moon with the results. I got compliments all night and it was just perfect for my Halloween wedding. 5.0 Melissa 10/31/2016 Tova is absolutely amazing! She put my mind at ease about every detail! She answers every email within minutes! My wedding dress is absolutely the most beautiful thing in this world! 5.0 Alison 10/31/2015 I live in Scotland and bought my Wedding dress online from Wedding Dress Fantasy and I received a professional first class service from start to finish. I would recommend them to anyone! 5.0 Tina 10/30/2016 I contacted Tova Marc to make a replica of a non traditional designer wedding gown for my Halloween Eve wedding and she and her team did a fantastic job!! It was the most luxurious, beautiful garment I ever wore and the quality and craftsmanship were the very best! 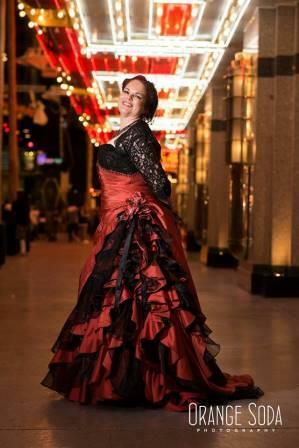 I never thought I would be able to have such a gorgeous gown that would fit my personality but Tova made it happen. She was so sweet and patient with me throughout the process and I was lucky enough to go to her boutique several times for my fittings. I never felt rushed and she and her team always gave positive feedback. her seamstresses are also as sweet as can be and really skilled at what they do. Hopefully one day I have another occasion to have a custom dress made by her and her team. Hi!!!! I have to say I absolutely love couture de brides, I live in Washington state and was willing to take a chance and have my dress custom made on the other side of the country...best decision I could've made :-) tova listens to every detail, responds within 24 hrs, and is very patient with obsessive brides like myself. I give them 5 star across the board. My dress was stunning beyond belief, more than I ever expected. BEST PART: my dress was shipped with care, folded nicely, came with all the attachments, under skirts and carry bags for dress and accessories. Yes this is a very detailed review, but if you're thinking about ordering online through this company, if you live in another state...go for it, they are amazing and I'm looking forward to wearing my custom dress on Aug 23,2015 beyond excited. 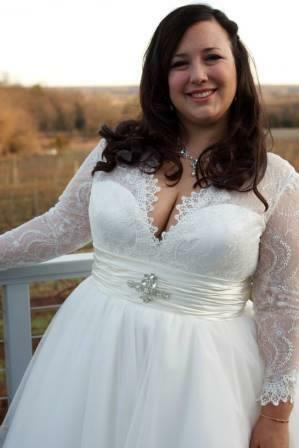 5.0 Jennifer 07/25/2015 Tova did an exceptional job constructing my wedding dress. It was exactly what I was expecting. The professionalism exceeded my expectations as well. We were making a big investment on my wedding dress and every email we sent was addressed and received a timely response. She was careful to get exact measurements to make sure it was a perfect fit, and it was! I am beyond pleased with the service and product of this vendor! 5.0 Jessica 06/27/2015 Tova is a doll to work with, very friendly, timely and flexible. My wedding dress is just beautiful, I cried tears of joy when I tried it on for the first time. I gave her photos and measurements of what I wanted and she created my dream, it also fits perfect! I highly recommend working with her and I will get the word out to all my friends. I cant wait to wear this dress on my wedding day. I cant say thank you enough! :) Thank you! Thank you so much for an excellent dress. I have never felt so glamourous. EVERYONE commented on how amazing the dress looked and everyone who got close to it commented on just how well it was made. I never order clothes online because I'm usually terrified that it won't fit when I get it so naturally I was hesitant about ordering my wedding dress without ever trying it on. But I trusted in the fact that this place had perfect reviews on every wedding site I could find and just went for it. Everything went very smoothly. They sent me colour samples first because I was uncertain what direction I wanted to go in. Then I sent my measurements and the dress was made just for me. The dress arrived a good 6-8 weeks before the wedding. I asked them to ship it right away even though the veil wasn't done yet just in case it took a long time to arrive but from when I sent that email to when it arrived was only about a week (and I'm in Canada so it had to clear customs). Then they shipped the veil separately. The first thing we noticed was that the colour was phenominal and the quality was amazing. The value was great. I tried a few dresses on in store and they were all more expensive and this one was made for me! I added the garment bag, the corset back, the crinoline slip, AND the veil and even with the shipping and the terrible exchange rate it was still less than the off-the-rack alternatives I had looked at. It was stunning. Thank you again for such an amazing dress! Tova is amazing to work with and made a beautiful wedding dress for me!!! I'm so happy with the dress, her communication and the overall experience!!!! Do not hesitate to work with her and have her create the wedding dress of your dreams! Tova Marc was extremely helpful she responded to my query's promptly and help me felt at ease when placing my order. I ordered from Darwin NT Australia off the internet and Tova and her team were always on hand to help me out in anyway possible. My dress arrived yesterday and it's absolutely stunning and beautiful you can see it was made with love, care and quality materials! Dress fitted great as well! :) Strongly recommend Wedding Dress Fantasy!! I was looking for a unique wedding dress, but was hesitant to buy something online without actually seeing it in person. When first I made contact, Tova was so warm and welcoming. She immediately put my mind at ease and kept in contact throughout the entire process. When I received my dress, I was so excited to see that it looked just like the picture and I couldn't wait to try it on. It fits me perfectly and everyone loves it! The quality of work is top notch and the dress looks amazing! Thank you for making this beautiful dress a reality! I absolutely love it! Tova Marc graciously answered me every time I had a question about my dress. She also had my dress here 6 weeks BEFORE my wedding...It is absolutely stunning and she made it just for me! My ideal, her design. I couldn't be happier. I can't wait to wear it! 5 stars are not enough. WeddingDressFantasy is amazing. Tova and her team took the vision I gave them of my dream dress and made it a reality. None of the other dresses I've tried on and seen can compare to the beauty they created. And the service they provided me, from the very first email I submitted to how my dress arrived, they were amazing. They put so much love, attention and care into making my dress. There is no need to ever settle for just any wedding dress. 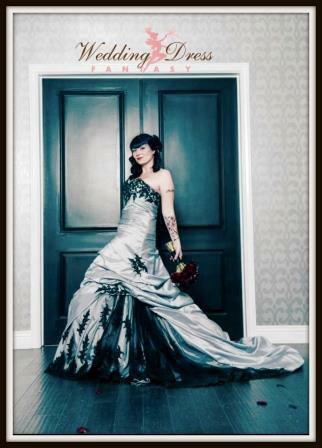 Your dream dress can be created by WeddingDressFantasy. They are so awesome! I don't even know where to begin! 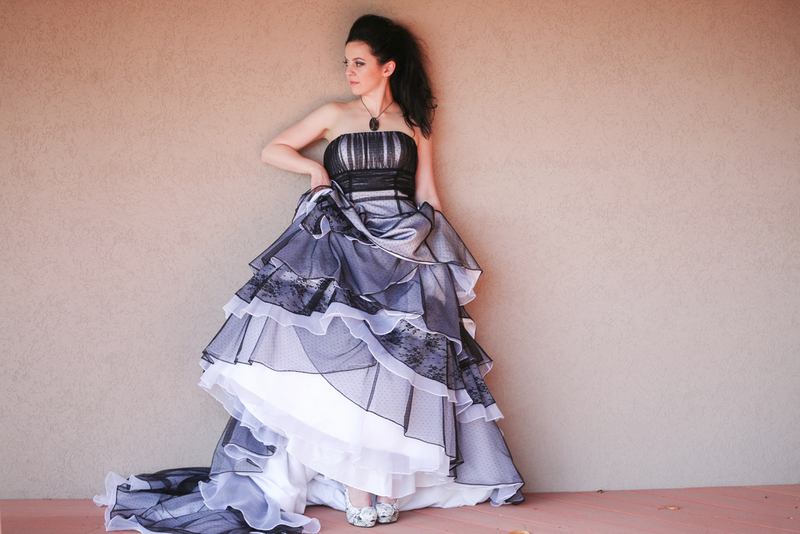 I never had such an amazing and positive experience as I did with Tova at Wedding Dress Fantasy (Couture De Bride). If I could rate all of the above categories above 5.0, I would. 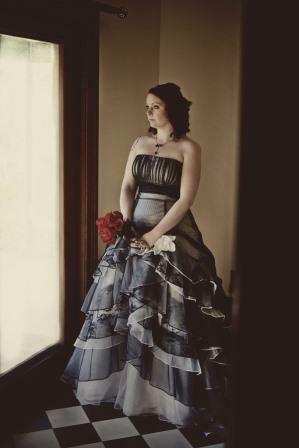 The gown I had for my wedding was something extremely special. I went to countless stores with gowns that were mass produced and just not made for my personality. ALL of the material Tova uses in her gowns are bridal fabrics. Everything also was within my budget. I was able to have something extremely unique, personalized, and definitely a conversational piece. This isn't just because it was for "the big day" that I am ranting and raving, but because of her attention to detail,her enthusiasm, and love put into it. It goes beyond just what I was wearing. Also, I'm not one so much into fashion and I really love seeing her post her work on social media. it's artistic, unique, and one of a kind. Seriously, if you are want something that is tailored JUST to you, beautiful fabrics, custom designs and not something off the rack at a giant chain store- go here. You will NOT regret it! I am a plus size girl and was really nervous about the idea of doing something *this* important over the internet, but I could not find what I really wanted in any of the bridal salons. Even if I weren't plus size, I couldn't find anything that looked like what I wanted - a colored dress that still looked like a wedding gown. Something very non-traditional and yet also beautiful and well-made. I was so frustrated I finally gave up and bought a gown that I settled for because I didn't think I could make my dream dress a reality. When I finally confessed this to my fiance, he got online and the first place he found was Wedding Dress Fantasy. I don't believe I could have found something like the dress they made me outside of a custom boutique. I felt like their price was a bargain based on what I wanted, but when I saw my dress in real life for the first time I was blown away by all the intricate detail, the quality fabric choices; everything was perfect. All I did was email Tova a picture of my dream dress, paid online, sent her my measurements and additional notes about special details I wanted on the dress and voila! 5 months later it was on my doorstep. My dress arrived right when expected and was packaged carefully in a plastic bag neatly tucked inside of a bright pink garment bag! I knew when I saw that it was going to be good! My dress is A-M-A-Z-ING. I absolutely love every inch of it. It feels so luxurious and I feel like a queen in it, which is just what I wanted for my wedding day. I am so excited and happy that I took this chance. I absolutely cannot wait to walk down the aisle in this dress. It is EPIC. It also fits like a glove, right out of the box, because it was made just for me! No alterations to worry about for me - just need to get it steam pressed and it will be ready to go. I am such a happy girl! I got my dream dress after all! Very impressed with how the dress looked in person. It fit perfectly. It was a tad too long even with my heels, no worries tho I just ordered a crinoline adjustable hoop skirt to add the finishing look. (makes it easier to walk around in and dance.) I'm very pleased!! 5 stars all the way around! Simply stated, Tova was awesome. 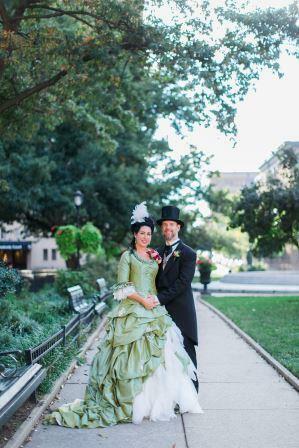 I am getting married in Savannah and I wanted something different. I had my heart set on a seersucker gown. I was uncertain of color and style and in the beginning I was nervous my vision was a little too 'different'. Tova really helped pull it all together. When I received my gown in the mail I was blown away. It was amazing. The quality of the dress and the material were top notch and the value was unbeatable. Thank you Tova! Words cannot do justice to the creative genius that is Tova Marc! Not wanting the traditional white wedding made dress shopping in the UK almost impossible. Whilst scouring the internet for inspiration I fortunately stumbled upon Wedding Dress Fantasy. I must confess I had reservations about ordering a dress online, particularly one that was to be produced in another country however these concerns proved wholly unfounded. It took very little browsing time before I fell in love with a dress that formed the basis of the beautiful master-piece that Tova so very kindly created for me. My dress is simply exquisite! The quality is second to none, the fit is unquestionably perfect and the level of detail and craftsmanship involved is absolutely phenomenal! Customer service and satisfaction are obviously priorities for Tova and this is reflected in the professional manner with which she conducts herself and business. Emails are answered promptly with much care and attention,all needs are addressed without fuss and the dress arrived prior to the stipulated time-frame. Tova is so very talented; I would urge any prospective bride to place their trust in this lady, I will vouch that they will not be disappointed! Quite the contrary, in all respects expectations will be exceeded. I for one could not be happier with my dress and I cannot recommend or thank Tova enough for the wonderful job she has done! I cannot wait for my wedding day; I only hope my dress leaves everyone as breathless as it left me when I first cast my eyes upon it! If I could give Tova a higher rating of 5 starts I gladly would. My dress was absolutely gorgeous, and her communication was the best of all of my wedding vendors. She was fast, she never made me feel like I was troubling or bothering her, very attentive to my questions, the dress was done quickly and it arrived with no issues, and the quality was better than I imagined. Especially for the price! I had total strangers complimenting my dress and I'm always quick to direct them to her site. You won't regret buying your dress from WeddingDressFantasy.com!! Tova is AMAZING. My wedding dress is absolutely gorgeous. I provided her with a picture and it was made even more beautifully than I could possibly have imagined. Tova is responsive, thoughtful, caring and an overall gem!!!!!!!!!!!! Great service! I got my dress back much sooner than I expected and it is absolutely perfect! Everything that I wanted. Such a great dress maker! I can't recommend Tova more. I just love my wedding dress! It is the most gorgeous dress I have ever worn! Everyone has been complimenting my pictures on how lovely the dress it. Very well made and it came very fast. I would highly recommend this shop to any bride. I am so happy that I found Wedding Dress Fantasy (Couture De Bride) ! I tirelessly searched the Internet and stores for many months in my quest for a truly unique wedding dress. I knew the moment I saw the dresses featured on this website that I had found the right place! What I really love about this store is that everything you see is 100% customizable. I bought the CP332 style (Pale Yellow and Black Wedding Dress) and requested that it be made in white and with lace sleeves. I was VERY happy with how everything turned out! When I placed the order, Tova called me the same day and made sure they had all of the details correct. She suggested that they create the lace sleeves out of the same lace material used on the dress. It turned out beautifully and everything looked very cohesive. The service was excellent – Tova kept in touch via e-mail and telephone calls. When it was time for my dress to be shipped, she provided me with the tracking # so I knew exactly when to expect it. I highly recommend Tova and Wedding Dress Fantasy to any future brides looking for the dress of their dreams! I found this web site and loved the dresses! At first I was not sure how Ifelt ordering my Wedding Dress off the internet. I saw a dress that I loved and there is no way Davids Bridal would have anything that I wanted. I did not want a white dress at all and this site was perfect. They showed Pictures of Real Brides in the dress that I ordered and every last one of them looked Beautiful in it rather your a size 0 or 40. They Rocked it! I put in my Order in late-mid October, sent them my measurements and got a confirmed email that evening. My Dress arrived mid Jan....Standard 4-6 months soI was thrilled. It was everything I expected and more. It was done faster then I thought, they answered all my questions and got back to me quickly. I was very Happy to have found Wedding Dress Fantasy! They did an Awesome Job. I can't wait to send them pictures in my dress! Thank you!!!!!!!! I cannot fit everything I want to say in this box, but suffice to say, Tova made my dreams come true. I never wanted a white dress and never felt a connection to the idea of one, and I knew I wanted a red bridal gown. I found WeddingDressFantasy.com, and after reading so many great reviews and seeing pictures of real brides in the gowns that she made and reading about her process, I knew I didn't have to worry about purchasing a bridal gown online. When I scrolled through the red dresses, I found a dress that I was amazed by. It was so beautiful and perfect, and it amazed me even more because it was a ballgown, not the style I thought I wanted! I called to order it and found it was discontinued, but Tova pulled the pattern out to make it for me anyway. It was a sweetheart, but she modified the neckline to a v-neck when I asked, and the embroidery on the bodice looks like it was meant to be a v-neck. It is even more beautiful in person than on the internet, and I felt comfortable and beautiful in the dress. I am so thankful that Tova is there to make every woman's bridal dreams come true, regardless of how non-traditional her dreams are. Exellent and quick service. Tova makes you feel that you are the only bride she's helping at the moment, although you know that's not the case. She makes you feel really special as a bride, and that is so valuable! She is also quick to answer any questions you may have. She is honest, and she genuinly wants to make you shine on your special day. I have seen nothing but professionalism from Tova; from the moment I first made contact, till after I had received the dress. The quality and beauty of the dress is absolutely magnificent, and is well worth the money! I ordered my dress slightly late, and also ordered some custom details (so the skirt would separate and the dress could be converted from a gown to a dress appropriate for swing dancing). The custom details were a bit complicated because the overlay had to bustle appropriately when the dress was short. Tova completed all of this with plenty of time for the wedding. The dress fit beautifully, and while it was quite alternative (black and grey), even my grandmother was astonished at what a beautiful dress it was and keeps talking about it. The dress was the part of the wedding that was complimented the most. I was nervous not being able to try on any of Tova's dresses before ordering online, but I am SO glad I chose wedding dress fantasy. At first my daughter, Desiree' and I were undecided about ordering a wedding dress online, but it worked out perfectly. 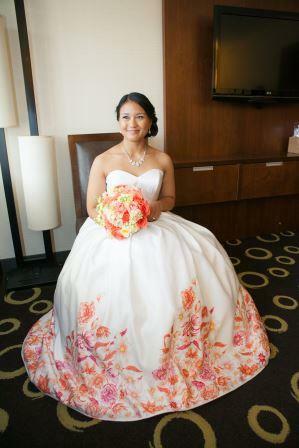 My daughters, Desiree', dress is gorgeous, it fits my daughter precisely as it should and the workmanship is MARVELOUS!!! Tova was in contact with us from the start and if we had any questions, we could get ahold of her, she also emailed us to check on everything and is still in contact with us and will be until the wedding day!! I recommend Couture De Bride to every bride that wants a beautiful, yet unique dress. I was so happy I stumbled on the Wedding Dress Fantasy website. I wanted a RED wedding dress for my wedding and was very disappointed that my dream dress was going to be harder to come by than I had originally thought. My choices were to either "settle" for the tradition, get a mystery dress from out of the country, or get a prom/quince looking dress. I found the website for Wedding Dress Fantasy from the Off Beat Bride website, I was so relieved when I did. A simple phone call and a few detailed pictures to Tova and less than 4 months later I had a dress more beautiful than I could have imagined. The quality and details were exceptional, she pretty much knew exactly what I wanted. Tova does sizes 0-40 in 60+ custom colors. If you have a dream dress DON'T settle, call Wedding Dress Fantasy and make your dream a reality. (I am not on the payroll, just so happy with my dress :).) Not to mention, the price for a custom wedding dress from Wedding Dress Fantasy is very comparable to the price of an "off the rack" dress from the chain wedding dress stores. Reviews don't lie. I was skepticle at first, ordering a dress offline, not to mention probably the most important dress I will ever wear (I'm in FL Wedding Dress Fantasy is in NJ), but trust Tova and you will not be disappointed. I can't even begin to explain how awesome my wedding dress was! I spent one day shopping for the traditional white dress with my mom, and by the end of the day even she agreed they just weren't "me". So I hit the web, and thanks to offbeatbride.com, I found Wedding Dress Fantasy. Wow. I found a dress I loved and Tova was happy to make a few customizations. I got my measurements, summoned the nerve to order a wedding dress online, and went for it. The dress was delivered on time, and after a week of procrastinating, I finally took it out of the box and tried it on. It was amazing. It needed only a few normal alterations, which I had plenty of time to make. I received so many compliments on the day of my wedding, and they keep coming in from friends of friends on Facebook. Most importantly, it was my dream dress, and made me feel exactly the way I wanted to feel on my wedding day. Thanks so much Tova! You made my wedding day fabulous! I cannot say enough wonderful things about Tova at Wedding Dress Fantasy!! She was completely professional and designed my wedding dress exactly to my specifications. Fantastic communication. The gown is gorgeous, well made, and fits me perfectly!! People thought I was taking a risk having my dress deigned and made unseen, but it couldn't have turned out better. I love it! Tova is a gem! I had the most wonderful dress created just for me and she took into account all the little extras I needed to make it fit me just right. Personal emails and questions made it like talking to a friend! I am so happy with my whole experience I cant say enough positive things! I am so thrilled to have found Tova Marc~ she has the most exsquisite bridal gown designs I have ever seen! I had a bad experience in which I had ordered a dress on-line that was supposed to look like a designer dress- it fell dramatically short and I was devastated! I then found Couture De Bride on-line and was intantly in love with the designs but skeptical because of my previous experience. Tova took the time to speak with me on the phone and to find exactly what I was looking for. 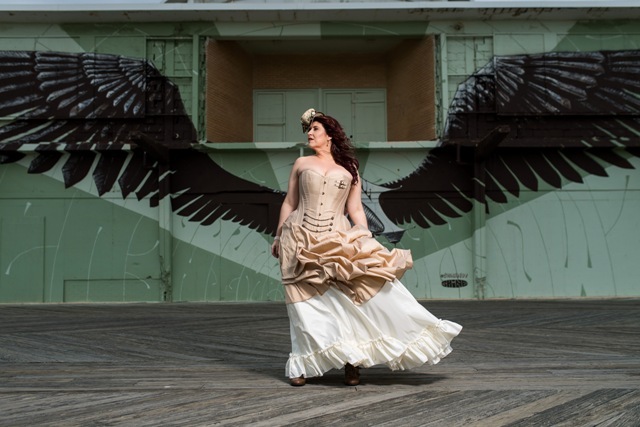 Our wedding had a steampunk theme and the decor revolved around the dress. I was worried that because it was a custom design that it would be close between when I ordered it and when it would arrive- it arrived in plenty of time and fit like a dream! I felt like Cinderella with Tova being my fairy god-mother who had measured and created such a masterpiece with the wave of her magic wand! 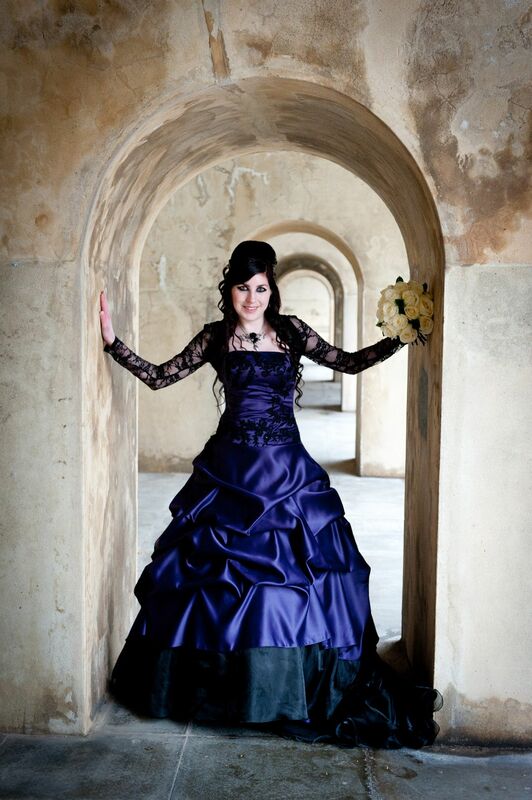 :) My dress was exsquisite and I truely felt like a princess!!! I can't express how completely thrilled I am with my dress- my husband fought back tears when he saw me approaching him at the altar. 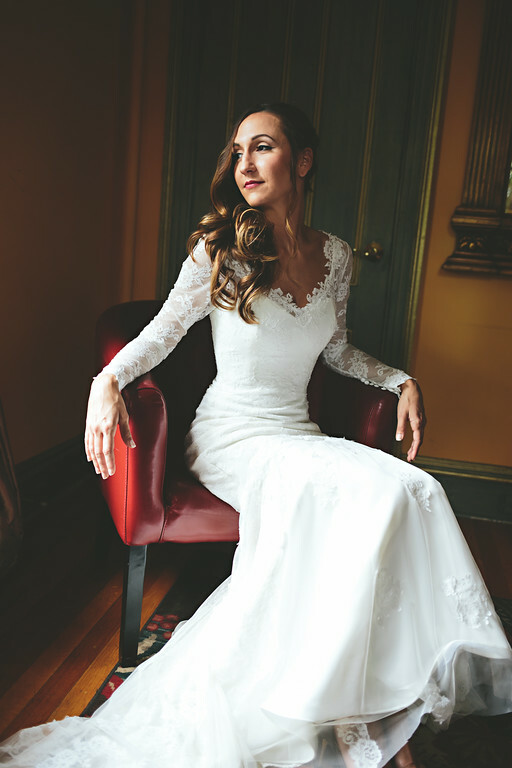 The magic of the dress permeated the whole day with splendor~ thank you so much Tova! I just LOVED my unique and affordable gown. As a professional wedding planner that plans over 500 events per year in Marina Del Rey CA, I have had the privilege of referring brides to this company over and over again. It was super important for me to try on every gown possible to see what fit and style was going to look best on my hour glass, plus size body. I went to a local mass chain (which I hated by the way) and tried them all on until I found the perfect style. Went to to the site and found the most PERFECT gown that was custom made to my measurements. It was received super quick exactly as I had imagined in pristine condition. I can not tell enough of my brides about this site & company. 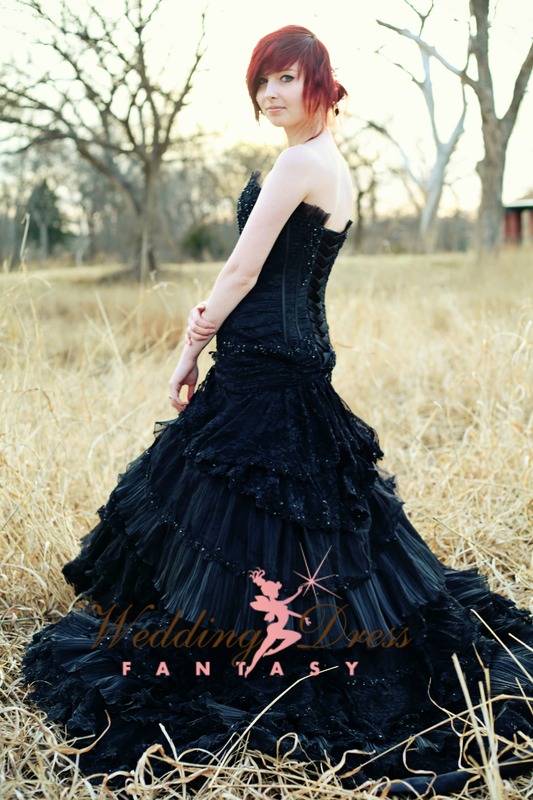 Did I mention I was able to add black details to the gown that were not part of the original design at an amazing deal?! I can not say this enough. GREAT company for brides who want to look like they spent thousands of dollars on their gown. Thank you for making my gown perfect with the more than perfect price. I'm giving 5 stars because this company was awesome to work with. I was very scared about ordering my dress online but Tova was a DREAM, very professional & new exactly what I wanted & needed. I gave her measurements & when I got the dress it needed very little alterations. I got so many compliments on my dress, everyone loved it. It was a pleasure working with Tova @ WDF. Answering all my emails promptly was a plus too! I love Wedding Dress Fantasy and I highly recommend it. When I first began dress shopping, I tried on wedding dresses in different shades of white, but wasn't the most comfortable in them concerning being my own wedding dress. The dresses were beautiful, but none were truly meant to be my own. Then I came across a picture of a wedding dress designed by Maggie Sottero. Naturally, when I found this dress, I fell in love with it. Sadly there was a problem: it was discontinued. I couldn't find the dress to even try it on in a white color. I then searched the internet for some way to have this dress put together for a cheaper price. From there I found the company Wedding Dress Fantasy and I searched high and low throughout the site for everything: references, reviews, designs, price quotes, number of customers if necessary! The number of customers I didn't find, but I found everything else! And everything else was exactly what I needed to consider my choice. Tova and I emailed back and forth for months talking about my dress from design to color to measurements and payments. Months went by until a nicely-sized box came in the mail. There it was inside, waiting for me to try on! And you know that feeling that a bride should feel when shopping for a dress? You know, where she starts to cry a little and her mom is already in tears at the sight of it? That's exactly what happened. Mom and I opened the box together and cried. Never have I been so happy to receive a dress in my life-especially one that I purchased. So thank you, Tova Marc. Thank you SO much for your patience, your time, your effort, and most of all for the amazing work you have created. I couldn't have asked for a more gorgeous dress for my wedding. For more testimonials, please visit WeddingWire.com.